Pictured above from left to right: Harvey King, Cllr Chris Woodward and Jake Clarke. 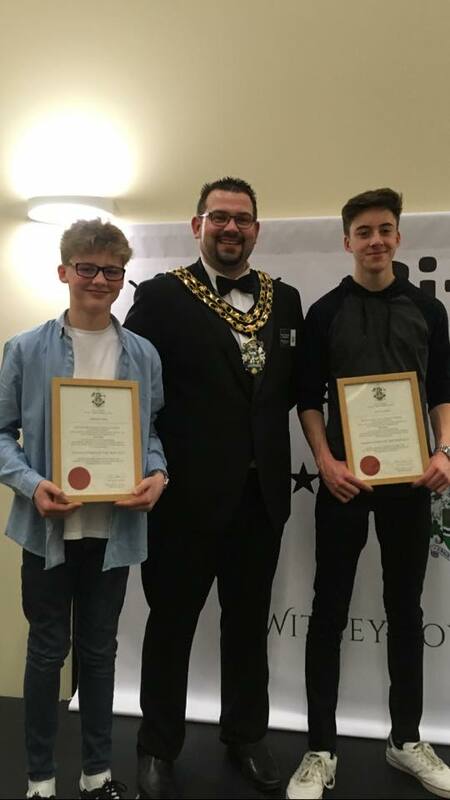 Congratulations to Harvey King and Jake Clarke who were both awarded Young Citizen of the Year Awards at the Witney Town Council Civic Reception last Friday. Jake and Harvey have set up a campaign to help homeless people in Oxford. They have already exceeded their original fund raising target and as a result have delivered lots of packages of food and clothes to homeless people in oxford. Please click here for more details about their campaign. We are very proud of them.